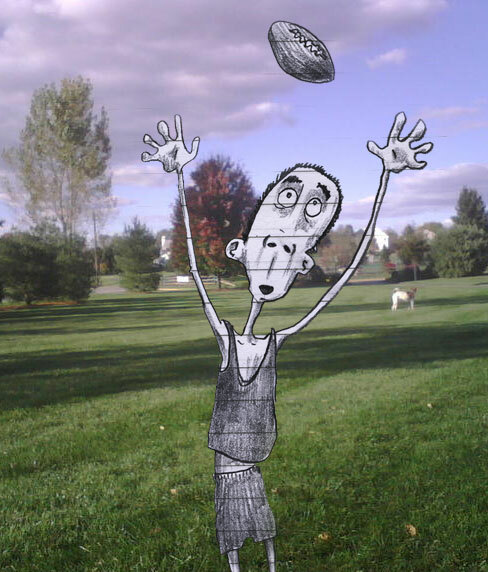 Finished cutting the grass, watched the Eagles win – finally – so time to toss the football around. This entry was posted in football, grass, lawn. Bookmark the permalink.